With over 250 built bikes ready to test ride at our two locations, we can get you on your perfect bike! We cater for everyone, whether it be a bike for the daily commute, your weekend road ride, a trip round the world or braving the downhill runs, we stock bikes to suit all. The important part is getting it right and that’s where we can help. We stock leading brands such as Trek, Cannondale, Cube, Ridgeback, Surly, Pashley, Wisper, Frog and more. To find your new bike we want you to try them, a test ride will give you the opportunity to feel the difference between serval bikes. Of course, we can give you all the technical info but sometimes it’s more about what feels best. Sometimes you need a little more than just a seat Hight adjustment. 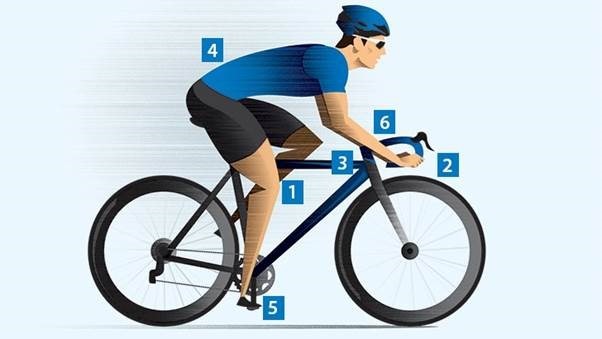 Before you leave with your new bike we want to get the fit correct. If needed we are happy to change out parts, whether it be a different length stem or width of your bars, we can work around you. Buying the bike is just the start! We are here to help, whether its keeping your bike maintained, advising you on appropriate cycle accessories or just some helpful friendly advice, pop in or pick up the phone, we are always happy to help.